What to do when feeling tense and overwhelmed with stress? The ego always has the need for control and safety, and many times desperately so. It’s always trying to control events and is planning and plotting and being anxious about the future, which always seems threatening and dark. This leads to nothing but stress and anxiety and stress and anxiety always takes you away from the flow. If there is any kind of uncertainty the false self starts to scream and shout “Threat! Danger ahead!!”. This is not to be mistaken by when our intuition and gut-feeling sets off alarm and warns us of danger though. There’s a distinct difference between the two. When you become aware of them it becomes easy to disregard and reject the ego’s attempts to make you fearful. The differences can be felt in the body (as tension and stress) as well as in your emotional state. 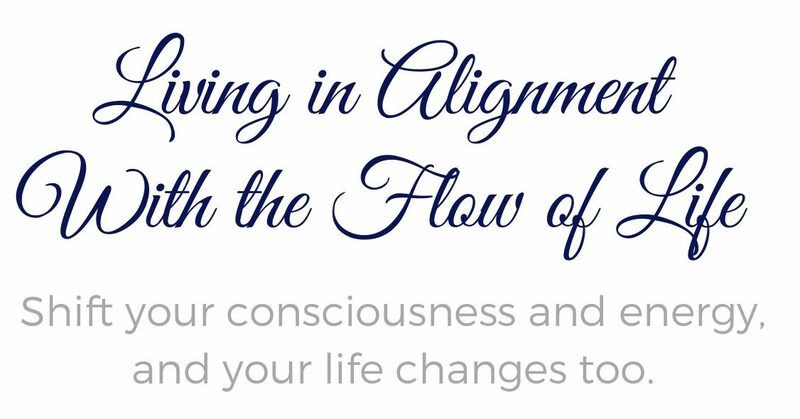 While the ego’s way of “warning” us sends us into emotional and mental turmoil, the Truth sends us solutions to the danger, it offers direct pointers. The ego doesn’t do that, it only spins on the fear and takes you further and further away from the present moment. It’s very clear and direct in its way to communicate while the ego uses fear to fuel fear even more. 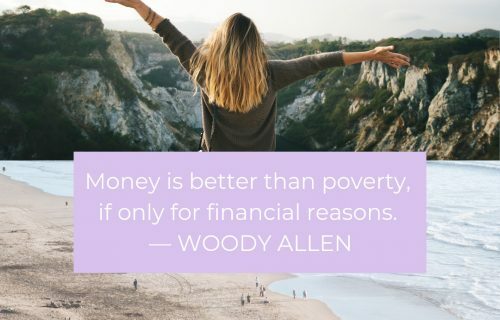 If you choose to believe what it’s throwing at you, that is! Survival is extremely important to the ego so it becomes easily worried when things aren’t going “right,” or as they “should” and it threatens the ego so it creates inner turmoil. 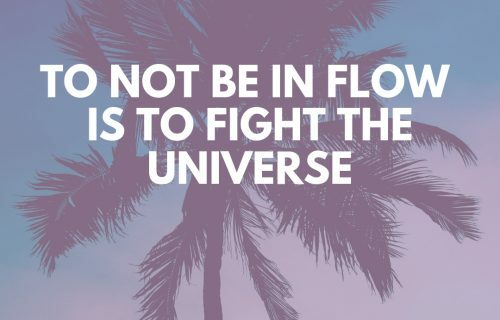 Feeling all tensed up and stressed out is a sign that you’re out of alignment and the way to get back in flow again is by getting back to the present moment and resolve to staying there (here). This means that you need to let go of rehearsing the past over and over again or worrying about the future and painting all sorts of pictures in your mind of what ‘could happen’. When you start to feel fear and stress well up inside, ask yourself what thoughts you are believing that causes the fear, and ask yourself if the thoughts really are true. And if you say ‘yes’, ask “how can I know for sure that they are true?”. Keep questioning your assumptions and conclusions until you come to the core Truth. Stop speculating about the fearful future that the ego is presenting you with. Realize that you don’t know what will happen even 5 minutes from now. Breathing always helps center yourself in the present moment. Take a deep breath, get back to the Now and become aware of what’s going on inside of you, where the turmoil and stress comes from and what it does to you. Self-awareness is vitally important if you want to see through the false self and become free from its power over your mind and life. 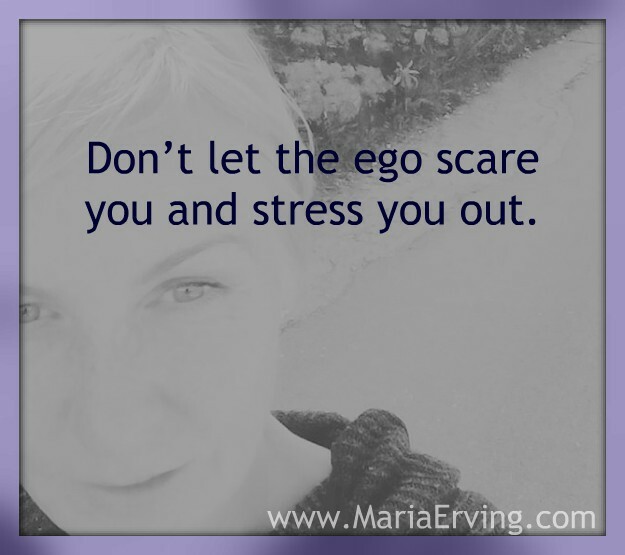 Don’t let the ego scare you and stress you out. Uncertainty and the unknown scares the ego but you are not the ego. You are the awareness that is aware of the ego. Most people are identified with their thoughts and they believe everything the ego throws at them. “You don’t have to believe and follow your thoughts”.